«Landscape is never corny» takes us to a godforsaken place on Iceland, where a few forlorn souls work as fishermen when the weather allows it. Halldor writes a diary; and his story is unveiled through his meetings with God, the priest, the philosopher, the cripple, the cod and love. Sample available in English and German. 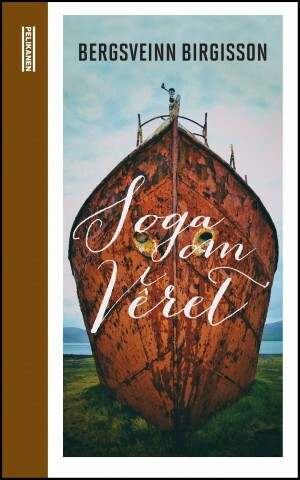 In Soga om véret, exceptional storyteller Birgisson beautifully and humorously succeeds in invoking the image of a culture in ruin and a soul in torment, in an environment that is located at both a psychological and geographical outpost of civilisation.